Over the past five years we’ve seen apparel options for Star Wars fans slowly expand, especially for women. There’s even been some dabbling in direct crossover of the galaxy far, far away with high-fashion. In early 2014 Rodarte showed a fall collection that included dresses printed with scenes from the original trilogy of movies. At the same time Preen’s runway show included blouses featuring an image of Darth Vader’s mask. 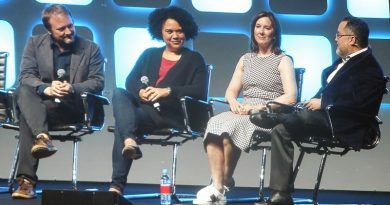 The white button-down version has been worn to events by the likes of Julia Roberts and Lucasfilm’s own Kathleen Kennedy (at D23 Japan). 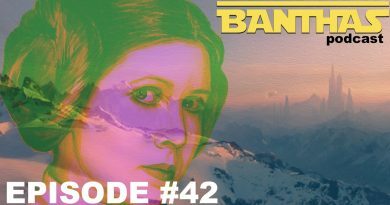 Now comes a way for even more designers to share their Star Wars inspirations, while promoting The Force Awakens and helping out charity. This week Disney Consumer Products and Bloomingdale’s announced Force 4 Fashion. 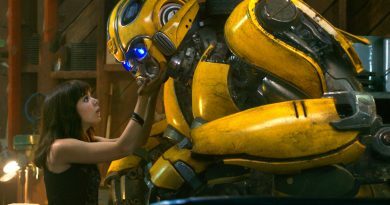 Cynthia Rowley, Diane von Furstenberg, Giles Deacon, Halston, Opening Ceremony, Ovadia & Sons, Parker, Rag & Bone, Timo Weiland, and Todd Snyder have each created one (or two) outfits specifically based off the characters from the new movie. The launch event will take place December 2nd in New York City and the next day all the looks will be on display at the Bloomingdale’s flagship store. Luckily we don’t have to wait that long to get an idea of what’s in store as sketches of the designs have been revealed online. 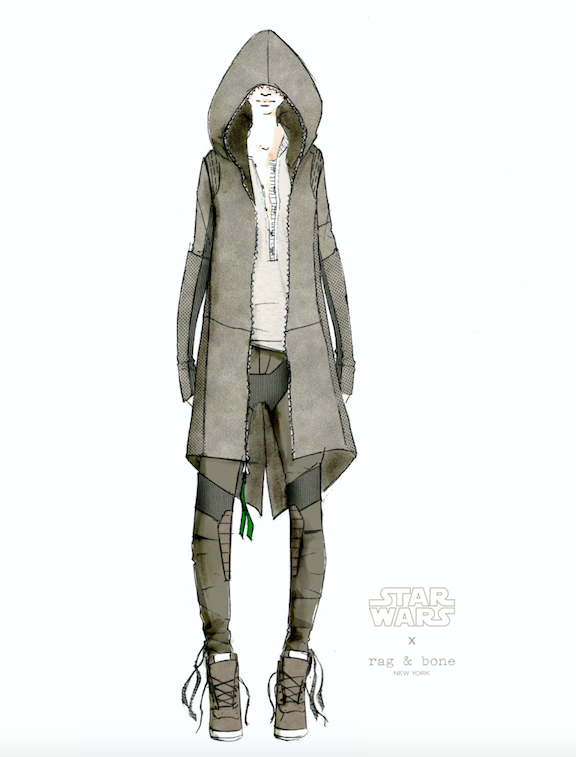 Both Diane von Furstenberg and Rag & Bone have taken on Rey. 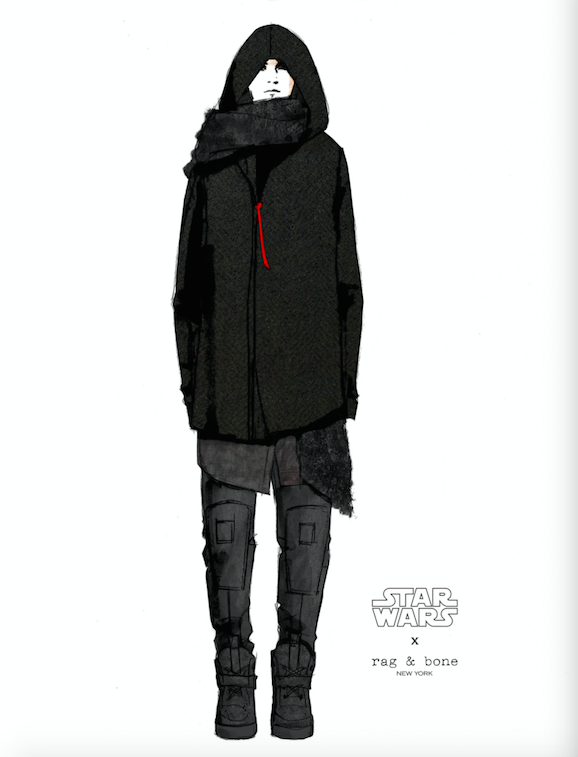 Plus Rag & Bone has a companion look inspired by Kylo Ren. Giles has a pretty spectacular Captain Phasma dress that makes me think it would be neat to see more dresses like that grace department store racks. The actual outfits will be auctioned off December 2-18 on CharityBuzz.com to benefit the Child Mind Institute in an expansion of the Force for Change initiative Disney, Lucasfilm, and Bad Robot kicked off back in 2014. Bloomingdale’s will also be selling three different reusable totes designed by The Force Awakens costume designer, Michael Kaplan. No word yet on how much the bags will cost and if the proceeds from them will be included in the donation, but they should start appearing in stores just before Thanksgiving in the US. The British fashion industry is getting in on the act too with Agi & Sam, Bobby Abley, Christopher Raeburn, J.W. Anderson, Nasir Mazhar, Peter Pilotto, Phoebe English, Preen, and Thomas Tait also creating Star Wars looks to be revealed November 26th at Selfridges. The British designs will be auctioned at www.starwarsfashion.london with the funds raised going to the well-known Great Ormond Street Hospital Children’s Charity. It looks as though Selfridges will also be selling separate Star Wars sweatshirts and t-shirts from the same group of designers in their stores. You can learn more about the activities benefiting Force for Change on the official Star Wars website. 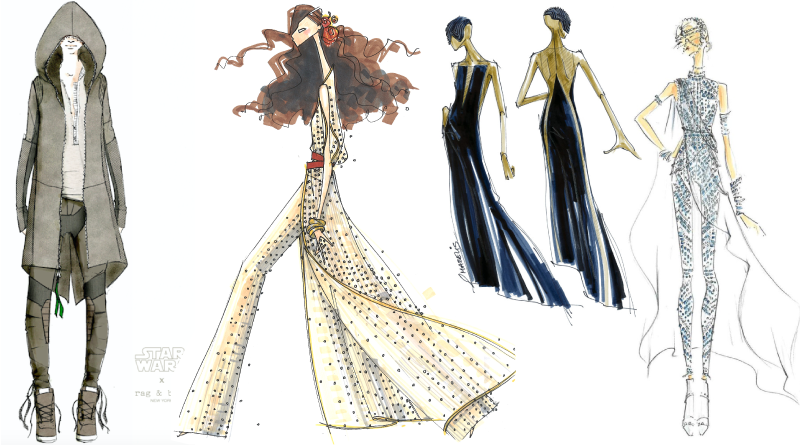 Check out the whole set of sketches from the US Force 4 Fashion event below. And feel free to use the #Force4Fashion when discussing all these exciting new looks on social media. Nice, Kay! Great to hear that Bloomies and so many great designers are committed to this. I love the Rag & Bone outfits based on Kylo and Rey. Very wearable, modern-contemporary with what feels to me like an apocalyptic influence. Seems fitting given the wreckage we’ve seen on Jakku.